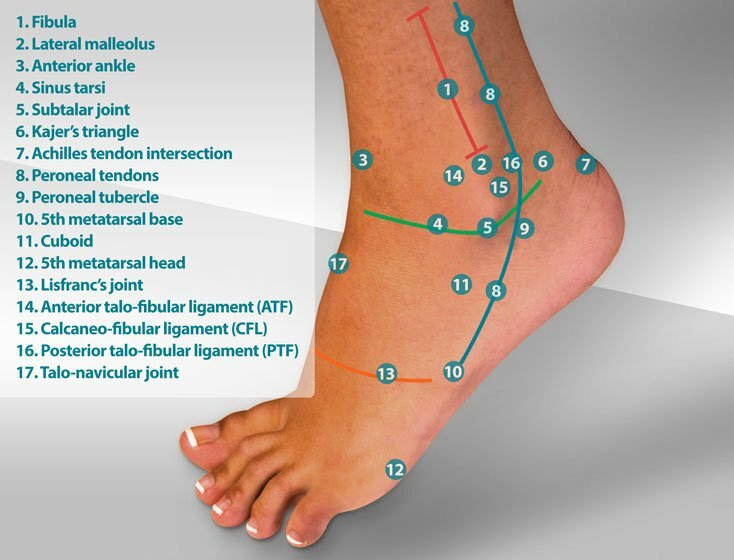 Ganglionic cysts (ganglion cysts) are fluid-filled cysts that are common on the lateral aspect of the ankle and on the top of the foot. 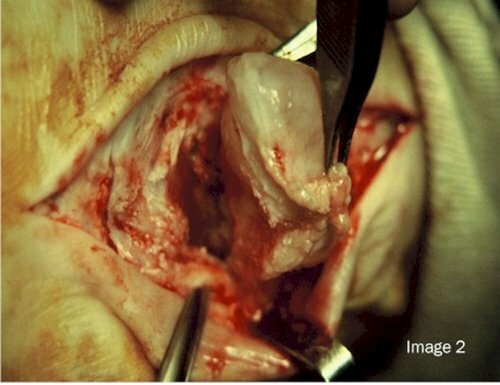 Clinicians and surgeons believe that ganglionic cysts are derived from weakened areas of tendon sheath. The weakening in the tendon sheath allows for herniation of the fluid within the tendon sheath out into free space forming a fluid-filled cyst. Ganglionic cysts are not specific to the foot and are found at other locations in the body, particularly the wrist. Ganglionic cysts affect men and women equally and are commonly found between the ages of 25 and 60 years. Ganglionic cysts are also known as Bible cysts or Gideon's cysts. These names are derived from the historical practice of treating the cyst by rupturing it with a heavy book such as a Bible. Ganglionic cysts are also sometimes called synovial cysts. Ganglionic cysts and synovial cysts are very similar in their presentation and clinical appearance, but differ in their origin. Ganglionic cysts are derived from tendon sheath while synovial cysts are derived from the lining of a joint (synovium). Although there is no consensus in the literature, most authors agree that ganglionic cysts are due to trauma to the tendon sheath. 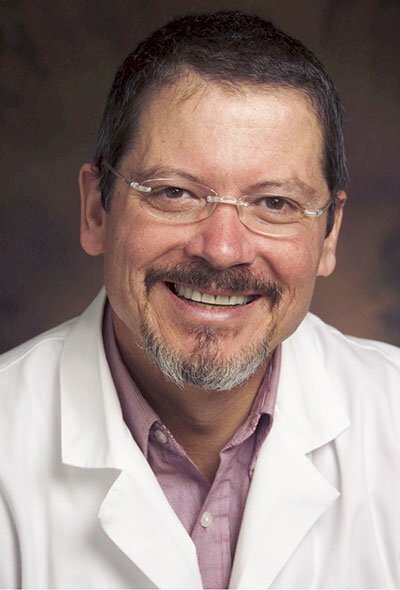 Trauma to the sheath results in loss of integrity of the sheath and the ability for fluid to herniate into free space. 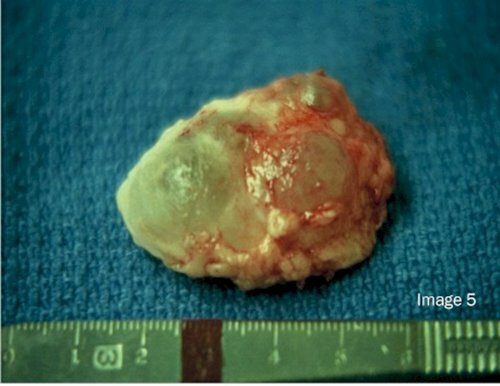 Surgical excision of a ganglionic cyst has a higher success rate (85-90%) compared to aspiration of the cyst (2,3), but surgical excision of a ganglionic cyst does carry with it the cost and potential complications associated with surgery. 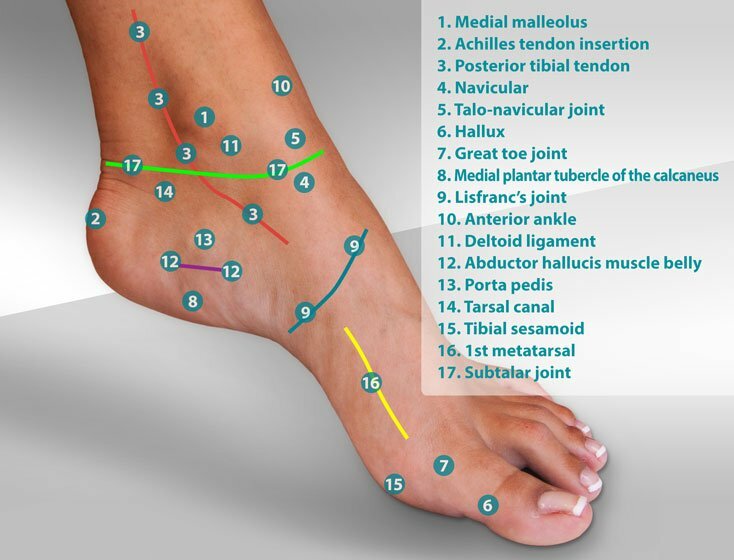 The following steps show the excision of a ganglionic cyst on the lateral aspect of the foot. 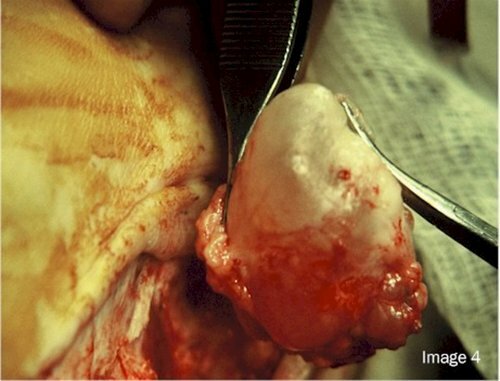 This ganglionic cyst was excised due to the patient's inability to fit into an enclosed shoe. 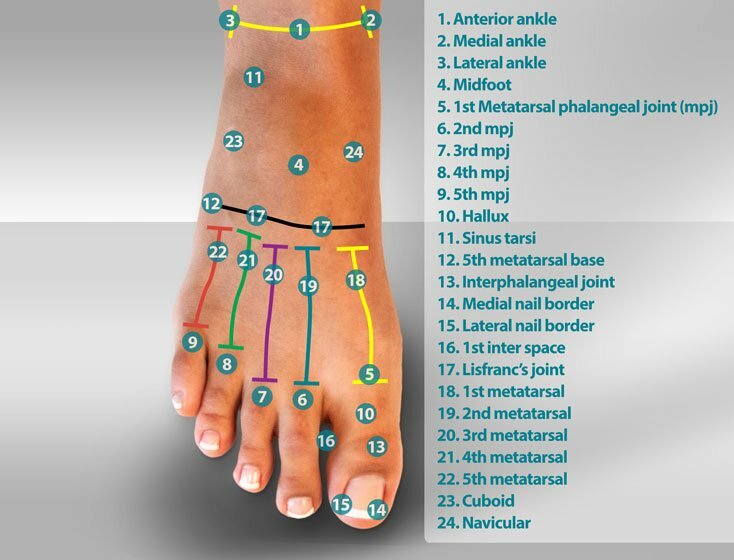 Depending upon the size and location of the ganglionic cyst, most patients can bear weight on the foot immediately following surgery. Excision of a ganglionic cyst can be completed in approximately 30 minutes and is performed with either a general anesthetic or local anesthetic with sedation. Recovery time and return to activities depends upon the success of the surgery and the extent of the dissection needed to excise the cyst. Ganglionic cysts that become symptomatic should be evaluated by your podiatrist or orthopedist. 1. Pocket Guide to Musculoskeletal Diagnosis. Springer. 2005. p. 63. 2. Gallego S, Mathoulin C. (2010). 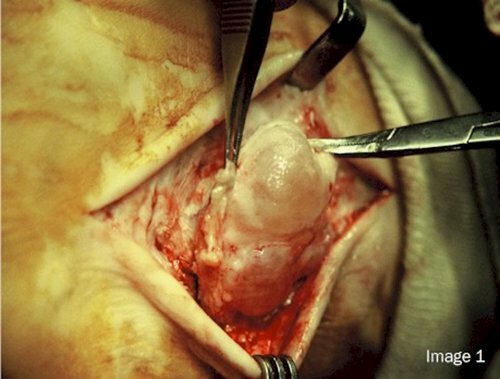 "Arthroscopic resection of dorsal wrist ganglia: 114 cases with minimum follow-up of 2 years". Arthroscopy 26 (12): 1675–1682. Ganglionic Cyst by Myfootshop.com is licensed under a Creative Commons Attribution-NonCommercial 3.0 Unported License. 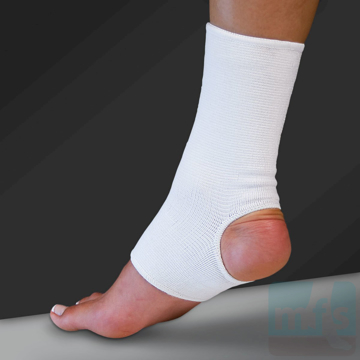 The Forefoot Compression Sleeve gently eases swelling and pain from metatarsal stress fractures and can be used as a splint following bunion surgery. May be worn with socks. Universal right/left. By PediFix. 1/pkg. Reusable Gel Callus Cushions are versatile, oval-shaped pads that relieve pain on many areas of the foot. Place the center hole of the pad around sore calluses to transfer shoe pressure away from the callus to the cushion. Self-adhesive. One size. By Myfootshop.com. 2/pkg. Reusable Gel U-Shaped Callus Pads are versatile, self-adhesive horseshoe cushions that relieve callus pain, ball-of-foot and forefoot pain, and sore spots on the foot and ankle. One size. By Myfootshop.com. 1 pair/pkg. 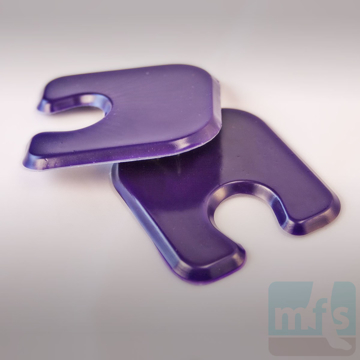 Forefoot Callus Protectors are soft, u-shaped felt pads that cushion areas of pressure and friction, providing pain relief to the ball and heel of the foot and preventing future callus build-up. Adhesive-backed. By Myfootshop.com. One size. 8/pkg.